To have the categories displayed on an axis, we need to create a QBarCategoryAxis first. 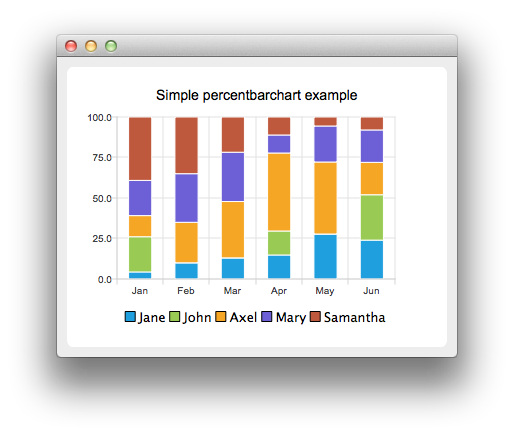 Here we create a category axis with a list of categories and add it to the chart aligned to the bottom, acting as the x-axis. The chart takes ownership of the axis. For y-axis we use a value axis, aligned to the left-hand side.